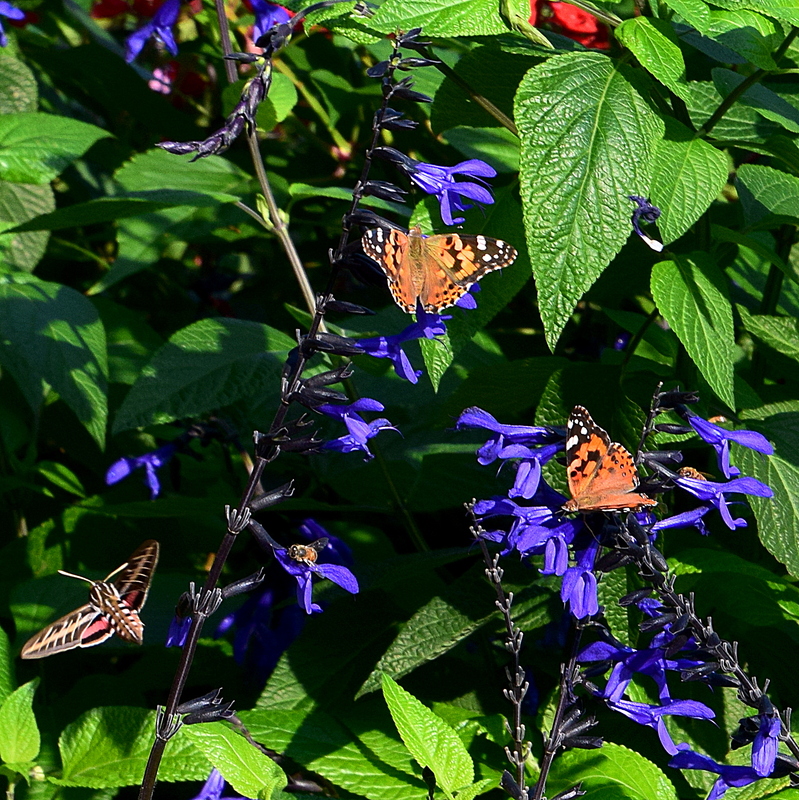 With us the humble-bees are completely crazy about salvia. Must be very delicious. Yes, it attracts many bees! Those Salvia were really a bright blue color! Oh WOW, look at that vivid BLUE–love it!! It is like a buffet line, all you can eat! LOL Beautiful picture, wonderful words! Yes, they all seem quite content!